The promoters of this weekend's major gigs and music festivals have spoken out after an unofficial ticket agency left many fans facing disappointment. SOS Master Tickets failed to deliver passes for last weekend's V Festival. Those who ordered tickets from the firm for George Michael concerts and the Reading and Leeds festivals are now expecting to miss out. Barrie Marshall, who is promoting Michael's last major shows, said the situation was "sickening". SOS Master Tickets is uncontactable, with its website down and phone numbers disconnected. Hundreds of people are believed to have paid high prices to the company for tickets to events this weekend, as well as other future shows. "It's very upsetting for us because we can't accommodate these people," Mr Marshall told BBC News. "So it's just really sickening, and there's very little we can do with it except try to have people deal with legitimate ticket agents." The former Wham! star is playing two nights at Earl's Court in London on Sunday and Monday. 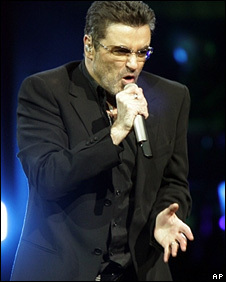 "We paid £500 for two VIP tickets to George Michael," wrote Angela McGeehan from Aberdeen. "We are so disappointed and angry that this has happened. We have paid for flights to London and hotel accommodation." Louise Roberts from Bristol wrote: "We ordered two tickets for George Michael at Earls Court on Sunday costing £375 each. "It was a first year anniversary present from my husband. Gutted is an understatement." 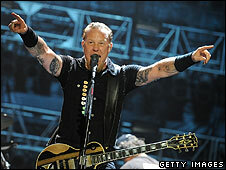 Mr Marshall urged fans to only buy from a venue's box office or from official suppliers. Many more people ordered tickets to the Reading and Leeds Festivals from the sosmasterticket.com website. Melvin Benn, who promotes the events, said such unofficial sites were "no different to any other internet scam". "We work all year round hand in hand with the rest of the industry to combat these situations," he said. "We cannot possibly prevent individuals visiting and purchasing from sites like these that appear without warning, and usually disappear without warning too." One fan, Ritu from Reading, wrote: "Only a few days before the event and my tickets have not arrived (I don't expect them to either) and SOS are uncontactable via e-mail or phone!" Another, Sally from Elgin, northern Scotland, added: "We've been looking forward to the festival since May and looks like we'll be sitting at home this weekend instead." Reg Walker, who helps combat ticket fraud for London's O2 arena plus Reading, Leeds and other festivals, said of the SOS situation: "It's probably several thousand that have been ripped off." The company is registered to a residential address in Islington, north London. A spokesperson for Islington Council said: "Trading standards are aware of SOS Master Tickets and are in the process of carrying out an investigation into their activity." Fans who paid for tickets with credit cards should contact their card issuers for refunds. The SOS website has been taken down and all phone and fax numbers are unavailable. The BBC was unable to contact them to comment on the complaints.